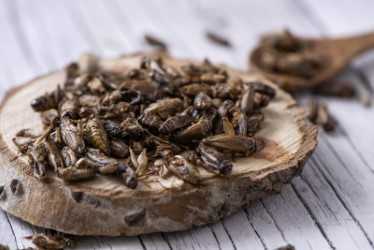 Have you tried the ''Gateway Bug''? 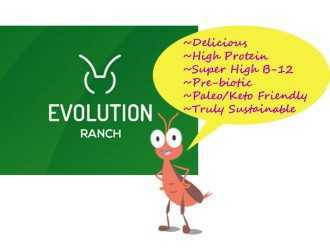 Evolution Ranch is all about crickets (yes, the insects), as food for humans. 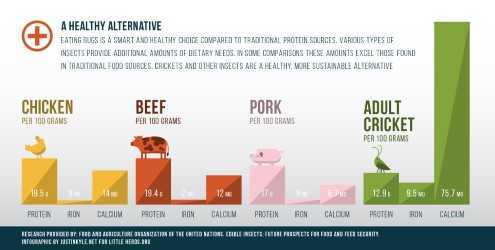 Crickets are highly nutritious, boasting an impressive nutrition profile and they're drastically more sustainable than traditional protein sources. 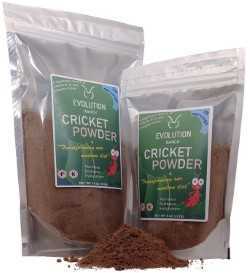 Evolution Ranch specializes in cricket powder, (a versatile ingredieant not just for smoothies), and CrickEATS! 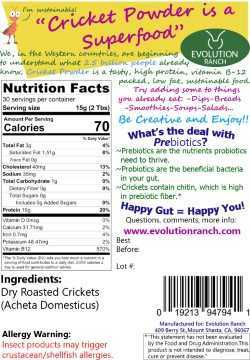 Which are our delicious line of organically flavored whole dry roasted crickets. 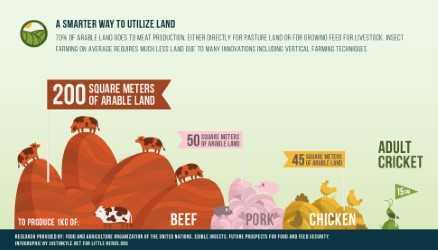 Give us a call and let's schedule a free tasting!